818 downloads not even 1 thanks? Wow. Whilst I enjoy making tweaks here and there and setting up various elements around FSX and associated products, I can't thank you enough Shaun for not only compiling the files but being willing to share them as well. 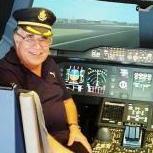 By the way can you do it for iFly 737NG thanks for your hard work! Thank you, Shaun - great work! Would you have access to Flight 1 ATR-72 (FSX), AES configure file that I might have? Or could you point me into the right direction were I can find one. Thank you for the other files much appreciated. However, you should provide information about configs included. Many thanks for sharing. We do appreciate the effort yu took in doing this. Besten Dank und ein gutes neues Jahr.